If you use a small mirrorless camera and favour smaller pancake-style lenses, the Lowepro Dashpoint 20 will suit your purposes nicely. It’ll also work well for a small compact such as one of Sony’s RX100 series. It’s rugged and secure, thanks to Lowepro’s t-Lock system that protects the contents from thieves, and the internal padding means your gear has some cushioning from knocks and bumps. The removable/adjustable shoulder strap also offers a comfortable, customisable fit, making it comfortable for a day’s roaming. 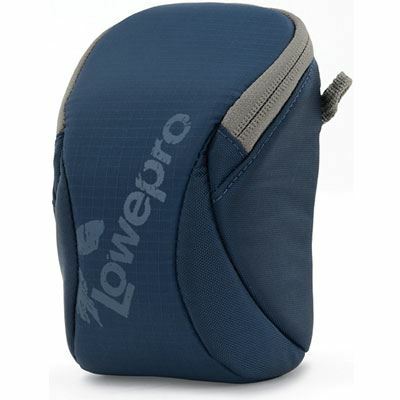 The Lowepro Dashpoint 20 Camera Pouch is a lightweight, multifunctional outdoor carrying solution for small camera setups. The Dashpoint 20 is able to hold a compact system camera with pancake lens attached, or a pro compact camera, plus other small accessories. 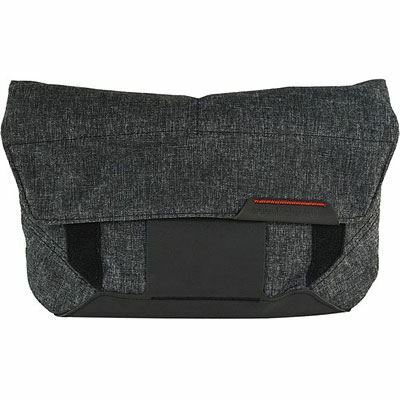 The Field Pouch can be used for small accessories or a mirrorless camera, and can be converted into an ultra-small sling bag with the addition of a Peak Design strap. Its six inner pockets allow for extensive organisation, useful if you’re tidy-minded, and the high-quality felt padding provides light protection. The seatbelt-style loops also make it easy to attach to a belt, and the waxed 500D Kodra shell is weather-resistant. Versatile, rugged and best of all – great value. 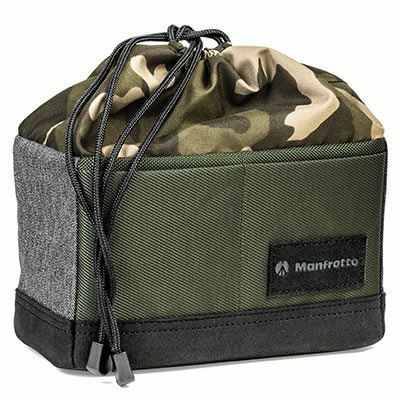 For less than £20 you can get a Manfrotto pouch that’ll store and protect your CSC or small DSLR setup when you’re on the move. The Street Pouch can be easily stored inside another, larger bag, which makes it a good choice for travellers who don’t want too much clutter while they’re on the move. 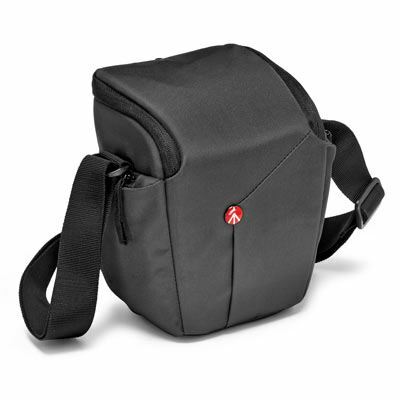 The Manfrotto Street CSC Pouch is a highly versatile carrying solution that safely holds a CSC with attached lens and up to 2 additional lenses, depending on size, or an entry-level DSLR with standard zoom lens attached. The Street Pouch easily slips inside another, larger bag. 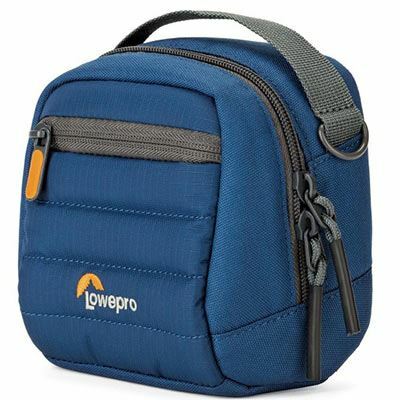 Weather-resistant and lightweight, Lowepro’s Tahoe CS 80 can be used to store a small mirrorless or compact camera, and can easily be attached to a belt loop for straightforward transport. There’s protective foam padding in the interior, and an extra front zip-pocket for memory cards or batteries. Sporty and lightweight, the Lowepro Tahoe CS 80 provides weather-resistant protection for small compact cameras with a short lens attached. Foam padding protects the camera in the main compartment, while a zippered front pocket holds spare memory cards or batteries. The Tahoe CS 80 can be stored either in a larger bag or via the built-in belt loop. The advantage of holsters, as the name implies, is that they allow you to draw your camera very quickly, ensuring that you never miss a moment even while you’re on the move. The Manfrotto NX Holster DSLR can take a reasonably sized DSLR with lens attached and allow you to have it on your hip, ready to draw and shoot at a moment’s notice. With extra zip pockets for additional accessories, you can have the entirety of a day’s shooting requirements at your fingertips. The Manfrotto NX Holster DSLR in Grey holds your DSLR with attached lens in a ready-accessible quick-grip position. Its adjustable straps allow you to custom-fit the bag to sit by your waist or higher depending on your preference. Featuring the Manfrotto Protection System, it is guaranteed to protect your gear. Multiple internal and external zippered pockets give you added room for accessories. Stuffed with pouches and pockets, and spacious enough to accommodate a DSLR or mirrorless camera, the Benro Element B100 Backpack is geared for comfort and functionality. 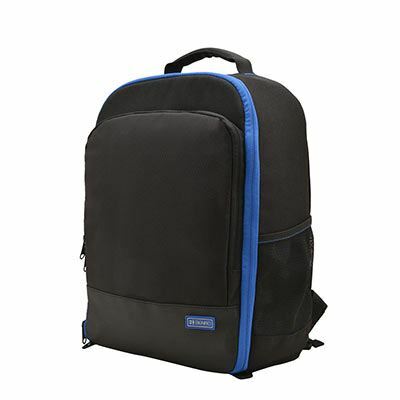 As well as its padded shoulder straps, it has waist straps for extra stability, and it’s also well-padded to protect both your gear and your back. The Benro Element B100 Backpack is a rugged and durable solution to camera gear for DSLR and mirrorless camera users. Designed with plenty of padded pouches and compartments, padded shoulder straps, and waist straps, the Element B100 has the user’s comfort in mind, while remaining completely functional. A simple, straightforward camera protector, this holster will clip onto a belt and ensure your small DSLR or CSC is safe from the elements. 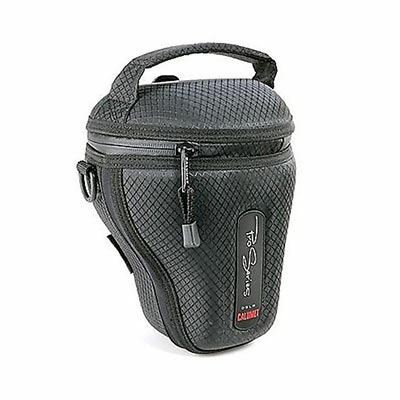 Great for city walks and day trips, the Calumet DSLR 123 Camera Holster Case keeps your gear safe from minor impacts and inclement weather, while also allowing you quick access to make sure you get the shots you want. 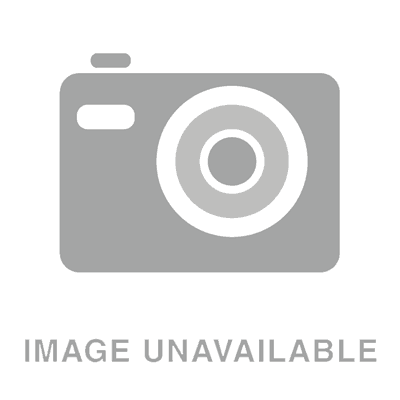 This practical case protects your camera when it is not in use, while also providing ready access so you never miss an important shot. A unique hard outside surface and padded interior offer maximum assurance that your valuable equipment will be safe and protected from impact and the elements.